Whatever type of Clopay® garage door you are interested in, we can supply it. A1 Garage Door Service in Sedona is an authorized dealer of Clopay®. We are experienced in installing any type of Clopay® door; including maintaining, replacing or repairing any of its components. Plus, we provide all warranty provisions of Clopay® on any of its products and services so you never have to worry. We also have an emergency garage door service that you can contact any time of the day or night. If you have any issue with your Clopay® garage door, our team of experienced professionals will address it, no questions asked. No issue is too small for us. If you need our service, we will immediately provide it for you. This is because we are committed to providing you the best possible customer service. As a member of the Arizona Registrar of Contractors, we have a reputation to uphold. And we also owe it to our clients who have given us A+ ratings on BBB, 5 Star ratings on Yelp and the Super Service Award from Angie’s list to continue providing our A1 brand of service. We at A1 Garage Door Service in Sedona understand that style and safety should always go hand-in-hand. That is why, we have partnered with Amarr®, one of the world’s leading designers, manufacturers and distributors of garage door access systems for residential homes, condominiums, warehouses, commercial buildings, shopping malls and other commercial applications. We offer all of Amarr®’s garage door product lines as well as their different components. 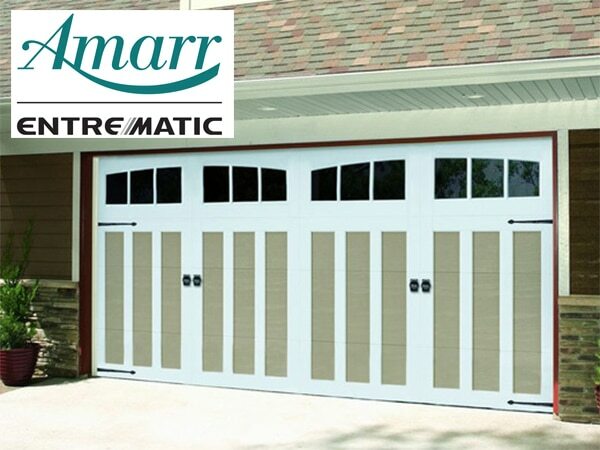 As Amarr®’s partner, we provide advice on which of their product lines is most suitable for your garage. We also service all their product warranties to ensure the continued performance and durability of your garage door. Aside from this, we have a garage door emergency service for all your needs. For any issue with your garage door, never hesitate to call A1 Garage Door in Sedona. You will always be our priority. Book us for all of your garage door installation needs. There is no better choice in the industry but A1 Garage Door Service in Sedona. One of the strengths of C.H.I. is its ability to provide different features and options for your garage door. They enable you to choose from their array of styles, materials, insulation types, colors and even according to your budget. This makes your chosen garage door truly unique and suited to your lifestyle. However, oftentimes, the choices can be overwhelming to a regular customer. To help you decide, we offer our services. We at A1 Garage Door Service in Sedona can advise you on all different choices so that you can come up with the best one and be truly happy with the result. Our excellent customer service is validated by the ratings given to us by our customers who have awarded us the Super Service Award from Angie’s List, A+ from BBB and 5 Star from Yelp. A1 Garage Door Service in Sedona is happy to bring you different choices for your garage door that are guaranteed to be impactful and enhance the value of your home. Our garage door collections will definitely make people sit up and take notice and are proven to be durable. What’s more, we offer different styles and brands at reasonable price points. This is the reason why we are working with Martin Door to bring you all their different styles of garage doors using different materials. We are an authorized dealer of the Martin brand and if you are in the market for beautifully made doors in different materials, theirs is a collection worth checking out. If you get us to install any Martin garage door, we will be sure to service their LIFETIME warranties at no extra cost. What’s more, when you A1 Garage Door Service in Sedona, we will only send our very best and most trusted technicians. This is because we believe in only giving you perfection.